Since 1991, Lansing Funeral Home has been serving families in Tompkins County and the surrounding areas. We have built a solid reputation of service, kindness, and integrity at a fair price. In getting to know you, we take pride in listening, learning, and suggesting ways to create the ceremony you prefer. We are experienced in caring for families from all walks of life, and each family comes to us because they know we are leaders in our profession and dedicated to excellence in service. 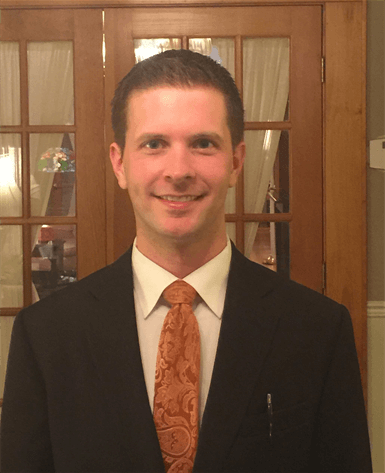 Lansing Funeral Home is independently owned and operated by Kyle L. Sharp, a Lansing resident and native of the area. We are members of the New York State Funeral Directors Association and are Tompkins County’s only certified green funeral provider. Kyle was born in Ithaca and raised in nearby Speedsville, NY. After graduating from Newark Valley High School, he attended Wilkes University in Wilkes-Barre, PA, earning a Bachelor's of Science in Biology. Kyle worked as an aquatic biologist in South Florida before enrolling in American Academy McAllister Institute in NYC, where he earned his Associate in Occupational Studies in Funeral Service. His funeral home residency requirements were met in funeral homes in Syracuse and LaFayette, NY, before he moved to Lansing. Kyle lives in Lansing with his wife, Jennifer, who is employed at Ithaca Montessori School in Lansing. They have a maltipoo puppy, Charley, who can often be seen greeting families at the funeral home.